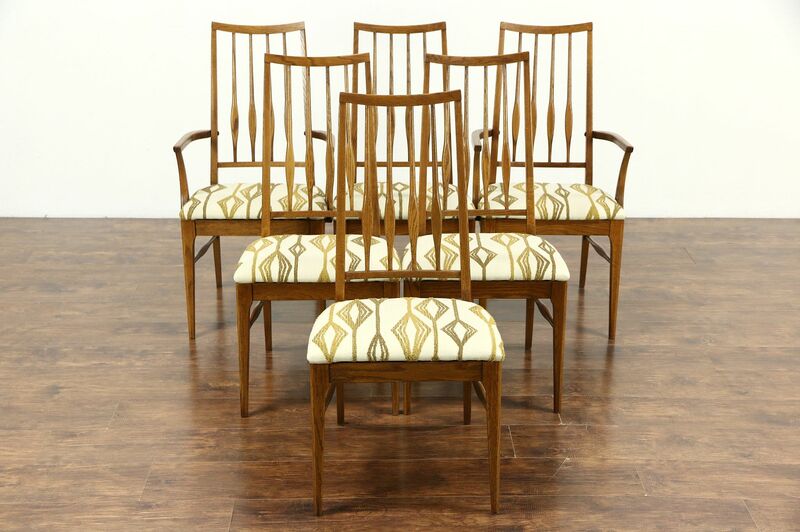 A Midcentury Modern set of six solid oak 1960's dining chairs are signed "Keller of Corydon, Indiana." Reglued to serve another generation, the finish is renewed and in excellent condition. Seats are newly upholstered in a fabric design from the era on this American made vintage furniture. Two armchairs measure 20 1/2" wide, 21" deep, 38" tall and seats are 18" high and 16" deep, four side chairs are 19" wide.